We are excited to announce the release of two of our most celebrated and sought after wines – the 2012 Sauvignon Blanc Vogelzang Vineyard and the 2012 Pinot Noir Fiddlestix Vineyard. These wines are painstakingly handcrafted in tiny amounts and thus are extremely limited. There will be a 6 bottle limit on each of these wines. 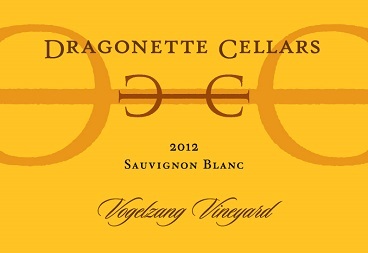 The Vogelzang Sauvignon Blanc is a reserve-level, draconian selection of our favorite lots from the exceptional Vogelzang vineyard, with whom we have long term, per acre contracts, allowing us to control the farming practices, limit yields, manage the canopy and harvest in selective picks. Vogelzang fruit is particularly well suited to barrel fermentation and longer aging, and we aged this wine for 12 months on its lees in 80% French oak barrels (20% new) and 20% stainless steel barrels and then placed this wine in tank for 6 months extended aging before bottling. Only 290 cases made. The spectacular 2012 growing season created a terrific rendition of this wine which has been much lauded by the critics in the past. In fact the 2011 version was 92 points in the Wine Advocate and was the second highest scoring domestic Sauvignon Blanc in that publication. Similarly, Josh Raynolds of Stephen Tanzer’s International Wine Cellar scored the 2011 wine 93 points, also the second highest scoring domestic Sauvignon Blanc in that publication. In both cases, our wines matched or out performed wines costing 2 to 3 times more. We are confident that the 2012 will perform similarly well with the critics, but more importantly with our customers. Fiddlestix almost needs no introduction. This renowned site is located at the cool western edge of the Sta. Rita Hills appellation, where early morning fog and cool afternoon breezes provide a long, even growing season. Again in 2012 we obtained fruit from four separate blocks, consisting of clones 113, 115, 667 and 777 in precise locations in the vineyard. After careful harvesting and fermentation, this wine was aged on its lees for 17 months in French oak barrels, 22% new, without racking, before rigorous selection, blending and bottling without fining or filtration. Only 400 cases produced. 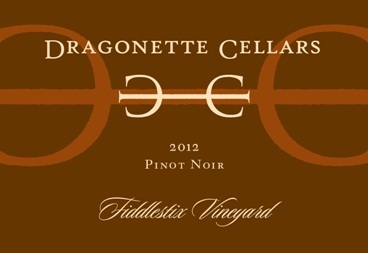 As with the Vogelzang Sauvignon Blanc, the Fiddlestix Pinot Noir has a long history of critical acclaim. The 2011 received 92 points from Josh Raynolds and 90 from the Wine Advocate and Wine Spectator among others. More importantly, you all know that we have been crafting excellent wines from this special site for several years. We expect the 2012 version will be another great Fiddlestix wine that you will want in your cellar.